The future is gesture controls, they would have us believe. You should all be touching your computer screens, waving your arms around in front of your Xbox, and waggling your way to virtual sports victory. But you’re just not, apparently. What’s wrong with you? Or perhaps, what’s wrong with the technology? You don’t want to buy an entirely new PC just to use Windows 8 as it was designed to be used? A general lack of precision and badly implemented software with no killer apps? Leap Motion is hoping to change that: to give us both precise desktop hardware that can retrofit any machine into a motion sensing beast, and an app store chock full of fantastic killer apps. Does it deliver? We find out. And we’ll be giving away a Leap Motion to one lucky reader! Personally, I enjoy a good session of Dance Central. I’m a pathetic dancer, but even I can rack up a good score thanks to the vague motion sensing that seems to be telling me “whatever, that’ll do, I don’t really care if you’re doing it right or not, frankly”. It saddens me a little when Microsoft talks about how much better the next generation of Kinect will be – I don’t want it to read my motions any more precisely, or I have the sneaking suspicion the Dance Central will quickly wise up to my middle-aged balding white guy dancing ability, or lack thereof. But I digress. The point is, the current generation of motion sensors are relatively imprecise, and this limits their use to dance and sports games – the promised tech of Minority Report seems an awfully long way off. The $80 Leap Motion is a diminutively small device, far smaller than I was expecting. Is it really possible to pack so much precision motion sensing technology into a device that tiny, or have some sacrifices been made? The design is clearly influenced by Apple, with a sleek black glass top and brushed aluminium curved bezel; a single green LED inset on the front. It looks right at home next to Macbook Air, except for the cabling. Supplied with two cables, one short and one long, they appear to be USB 3.0 connectors one end, but the documentation implies they only run at USB 2.0 speeds – apparently the creators were unable to source USB 3.0 cables that were flexible enough. The device itself will perform better on USB 3.0: approximately 290 frames per second as opposed to 215 maximum – but whether that is a noticeable difference to the end user is debatable. Under my lighting conditions, it rarely went above 30 fps anyway. The Leap Motion works with both Windows and Mac, and is very much like a mini-Kinect; it uses 3 infra-red LEDs to blast out a hemisphere of IR light, and two cameras to read the exact 3D position of anything which they hit in the process. Occlusion is an inevitable issue with this technology – if one hand is placed above another, it can only “see” the nearest. Whilst the Kinect has a low level of detail and requires a fairly large distance from the sensor for best performance, the Leap Motion does entirely the opposite – it gives a high level of detail at a close range of up to about 1 metre. The Leap Motion is designed to sit just in front of your screen, pointing upward, reading gestures performed above it. Perhaps the closest direct competitor to the Leap Motion is the Gyration Air Mouse line, a series of enhanced mice input devices with gyration sensors that allow for gestures to be traced in the air. The Elite model is $79.99, the same price as the Leap Motion. After downloading the setup file and a quick installation process, the Leap Motion launches you into a beautiful and intuitive on-boarding process. Moving your hands into the field of vision of the device initiates the demo, pulling them away progresses to the next. The first is no more than eye candy – firework sparklers as you wave around. The second shows you what the Leap Motion is interpreting about your fingers, hand and wrist in 3D space – you can see exactly how accurate its understanding is. The third invites you to just paint using a finger. It’s a marvellously well designed set of demos that leaves you impressed. For most, the joyous wonder stops right there. Though not obvious, there are some interesting tools and settings to be found in the driver application, like this diagnostic visualizer. A calibration tool is also provided, but is absolutely baffling. It involves holding the device 10 cm from a reflective surface and attempting to paint the screen. Once the utility determines something is good enough, it tells you it’s done. The device is not without technical difficulties. A lot of users report almost constantly running into “robust mode”, which occurs when there’s a lot of IR interference or the lighting conditions generally aren’t suitable. It appears that under any kind of office or halogen lighting, low lighting conditions, or even the slightest hint of direct sunlight, robust mode kicks in. In fact, getting the right lighting conditions at all seems to be somewhat of a black art. This is shame, because recognition drops significantly during this fallback mode; recognised movements are often erratic. Under ideal conditions, you can choose the type of tracking you want from the settings screen. Entering precision mode gives a more accurate, but slower recognition time. By default, balance mode is used. Airspace is the central hub for all things Leap Motion. It’s an app launcher, and shortcut to the web-based app store. The store is well designed and easy to navigate. There’s a variety of free and paid apps on offer, for both Windows and Mac – some cross-platform. To be brutally honest, every game I’ve tried so far has been a gimmick at best; at worst, a frustration. Even the relatively straight forward Roshambo (Rock Paper Scissors / Janken) misread my moves and threw rock most of the time. BoomBall is a breakout clone that works accurately enough, but can’t hold the player’s attention for long. Steve Jobs was right when he said that touch is not the way people want to interact with computers – tablets, absolutely, but desktop computers and laptops – just, no. Holding your arm up and keeping there as you gesticulate wildly to control a ball is plain tiring. This just isn’t fun for more than a minute. Cut The Rope was perhaps the only exception to the rule; I could see children playing on that for hours, but then the game was always fun and the Leap Motion adds nothing in particular over and above an iPad, for example – integration with the Leap Motion consists of a single motion used to cut the ropes. There is however, one app which I have now kept running all the time – BetterTouchTool Become A Power Trackpad User With BetterTouchTool Become A Power Trackpad User With BetterTouchTool It's especially useful for Mac users who do lots of work in applications like iPhoto or Aperture, or who surf the web. Read More , which we’ve talked about before. BetterTouchTool is an incredibly powerful (and free) custom gesture management and shortcut program. It works with trackpads, Apple remotes – anything, really. And now, it works with the Leap too. The problem I’ve had with built-in gestures on an Apple trackpad is that I trigger them all too often by accident; scrolling left might pull up the notification bar, for instance. By moving some of these common gestures onto my Leap Motion, I reduce the frustration with the trackpad. That, for me, is a killer app. Now, if I want to view my desktop, I can wave 3 fingers downwards, as long as my hand is somewhere in the vicinity of the front of the monitor. It’s an easy gesture to perform, and an easy one to recognise for the Leap Motion. In short, it’s a perfect compliment. GameWave is a similar app gaining popularity for adding gesture controls to games. The success of the Leap Motion lies not in trying to replace existing input methods with some radical new “gesture-based computing” (don’t you hate that phrase? ), but with augmenting existing devices. Whether this can justify an $80 price tag is a difficult call to make though – for me, it just isn’t worth it. Should you buy the Leap Motion? The technology inside the Leap Motion is certainly nothing new; but the form factor, precision readings, the app store, the seamless installation procedure and impressive on-boarding process – this is what makes the Leap Motion what it is. The orientation app shows how accurate it can be – when implemented well – but it seems to me that what was demonstrated there and what’s actually available as real software reveals a huge discrepancy. Like any new device, it is ultimately the software that is going to make or break this. To ignore the technical issues that occur under common lighting conditions would be foolish too – it just won’t work as intended for many. When it does work right, it is a joy to use. Congratulations, Justine Rose! You would have received an email from jackson@makeuseof.com. Please respond before September 12 to claim your prize. Enquires beyond this date will not be entertained. Explore more about: Gesture Control, MakeUseOf Giveaway. I dunno, simply try it for gesture shortcuts for navigating through Windows? I would be very interested to try to use the leap motion to do a little video editing in Adobe Premiere. I have no idea if it would work well at all, but I think it could be a fun use if it doesn't completely fall apart! I would let my girls use it. It just make sense to teach them to use this and touch-based HIDs at this point. I would connect to my arduino and control motors servos with it. I would use it to control my PC for easier & more fun experience. Also I would experiment with maps, 3D modelling & much more. I would use it to improve the usage of the laptop. It'll be for the use of my little nephew. 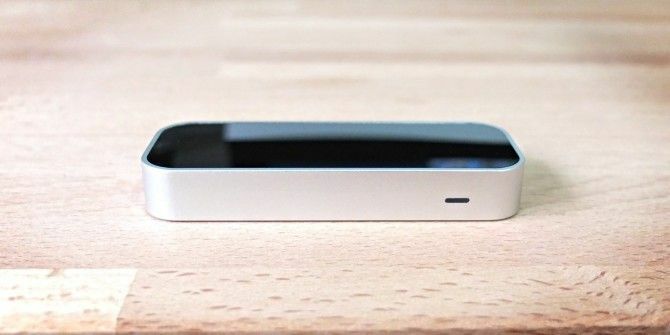 I would use a leapmotion to experiment with for my everyday computing. I have been excited about this thing since the day I first saw it. I can think of all kinds of uses for it. Just to explore its features and find the best way to work and play with it. I would use this to play with my kids. Awesome technology. I would use it to play games! I would use it to surf the internet! If I won,I would share it with my family to play family friendly games and do other things with it. I would use it to control my computer and make my friends jealous! I would use it to do everything, as does Tony Stark. One of my dreams. For gaming and arts purposes. I'd probably use it to easily play video and music and move through the media at will. This is something the whole family could use - it would make gaming and everyday use so much fun. definitely for educating my children. I would use it to play with my children. I'd like to try and if possible, develop futuristic app with it. I would use it for everyday shortcuts and general navigation of the PC (especially in media applications). Replace my ageing mouse with it ! It looks like it would fun to use for drawing / art creation on my Mac. Operate a laptop without the mouse. To scroll up,down,left to right. I'd try animating with it. This would be used mainly with my nieces and nephews for play. I would write a lot of apps with it as a development tool. I would use it to increase college work productivity. First I would try to discover its hidden features. I would study gestures that people would make to change what is viewed. Kind of studying natural human interaction. Yes. boring. but I love it. woo-hoo! I would use it in smug mode as my boyfriend wouldn't have one. I would use it in my home entertainment system I am building. I would use it for playing simple games. Using LeapMotion to enable 3D/4D object oriented software design. How? You think I'm going to give away my commercial secrets on a forum? I will develop an interesting application which make use of Leap Motion technology! Been wanting to try to develop using it but reluctant to spend the cash. Would love to develop a new product around one. As a speech therapist working in middle schools, I would share it with my students to get them excited about the possibilities for innovation and technology in their lives. I would use it to draw my auto designs on my computer! First I would try it at home and then take it to the two schools I teach (Computers) at. i'll use it for gaming! thanks! Now I can use it to have fun with my child. With this i can train him to strengthen the body and develop his mind faster!! It might be a great idea to implement the LEAP into medical software (like software for viewing CT readings). As many readings are taken in 3D already, the med might like manipulating the view in a more hands-on approach than with a mouse. Many meds actually use those 3D controllers already (the ones for Google Earth). I actually like this idea so much that I consider it an interesting topic for my Bachelor thesis (which is admittedly far far away :D)! Not sure but it looks awesome. I would use it for my training in computer design. I would use it with my microsoft surface pro to enhance my ability to interact with windows. And probably find a way to play diablo or battlefield 3 with it as well. If I have my Leap Motion, I'll establish my own Department of Pre-Crime! I would use it to enhance my interaction with the devices I use to change the world one byte at a time. I would use it for gaming. I would use the Leap Motion to play apps I couldn't play before and it would be accurate. Thank you so much for this amazing giveaway! I would show off and then BE TONY STARK! I would use it to play with my son! He would love this! I will use it with the Gamewave app. Will use it for gaming. To conjure up all kinds of greatness. I would just use it for everything. If I had this I would use it to impress my friends. I've been waiting to convert my lappy to a touch one. I would use it to control lights so on around my house after linking it with arduinos! I would use it for creating artwork, controlling a theramin application, mindmapping and educating my kids. Also demonstrating it as a piece of assistive technology for disabled users. I would use it to play games, try it features with google maps,use for media player and for some other general use as well. I'd like to see if it was possible to use it in the Source engine, or even Minecraft. Thanks for the giveaway! If I win, I will use it on one of my project for simple interaction at public space. I'll use this when reading web to scroll the pages. I would use to play with computer game. I would use it to feel like I was in Minority report. For family use....and personal too. I will use to develop applications. This would be a fascinating way to play games. Looks like fun and cool learning tool. I'd probably use it for casual gaming, in all honesty. Firstly I would need to read up and learn all about this fabulous little Leap Motion gadget. I'll try to use for playing music on stage. I have two kids so lots of things! If I get one I'm thinking of integrating it seamlessly with the common desktop apps that I use. It would be useful for others too. I'd use Leap Motion to navigate on Windows and control my media playing. And then tinker to see what else I can do...besides show off a little. I'd use it to play game. I'd use it to play motion gaming. If I had a Leap Motion, I would acquire the SDK if possible and create awesome software with it, whether little things for myself or maybe even something bigger. Play a game or two. I think I'd spend most of my time with it jumping around like an idiot playing the games! I could have a lot of fun tormenting the family with this (in a fun way of course!). Informative... Cool device... but it would have been cooler if it had longer range. I would use it for testing and creating market research questionnaires and focus groups. I'd use it as a gimmick to wow guests. I would use the Leap Motion to use it on my daily work. An interesting video demonstrating sign language. Wife knows it, I don't. Would be a cool learning tool for sure. How would you use the Leap Motion if you had one? I'll use it as a toy for past time. I would be interested in seeing how easy it was to develop apps for the Leap Motion. i would use it in my final year project...i havent thought of "how" yet but i like to work on leap motion. Based on this review, I would use it as a doorstop. I would use mine for my tv-connected-pc in my man cave, do away with the clutter of m+kb. I am in the developer program, so I have had a considerable amount of exposure to the leapmotion. I would advise to give it some time to mature. Even the best software has it's early pitfalls. This has broad reaching applications if the software development goes through all the proper lifecycles. With that said, I believe that the software initially being a gimmick is part of the lifecycle and will definitely make room for more advanced and feature rich applications in the future. The demo video was impressively more advanced than most of the apps on airspace. Trust me, I was a little miffed when I first got my dev unit. It was not nearly as impressive on my computer as it was in the videos. But there will be great things to come, especially in the medical and early childhood development fields. I am working on 3d modeling integration into the open source software Blender. It will allow for better manipulation and editing within the program. My End goal is to make it cross software, so that it can be configured as an input for many different modeling softwares. I want to see if this can be a mouse replacement (suffering from carpal tunnel syndrome). Will also experiment with motion control app development. If I win it I'll use it with Google maps and I'll test it with games and apps! The leapmotion is supported natively by google earth on both windows and Mac. Quite cool to use if you get the hang of it. How would you use the Leap Motion if you had one? I would use it to make seemingly boring tasks fun! I'd design my Iron Man suit. I would use it to play cut the rope. I would use it to play games and to let my kids explore. Well I'd use it with my Tv, laptop and xbox to try out different things such seeing if it would allow games to be played with a controller or just surfing the web and typing without touching the laptop itself. 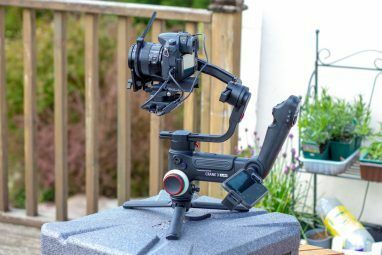 Also as I'm entering a software deevelopment course next month I could use this device to test myself and try out new ideas, while also thinking of ways to solve the issues you outlined above. I simply want to try it out. I haven't seen any such thing yet. Honestly, I am just curious to use it. I must test it before. I would use it first to see what i can do, then figure out what would be best, controlling the tv or controlling my computer. I would use it to improve my workflow by adding great shortcuts. I would use it to fulfill my "Minority Report" dream! I would use this product to make sharing things at work easier. This is the best product for my job. i would use it to use my windows 8 laptop. its an old laptop but i hope it would run on it. I would use it to do some experimentations with it and after decide how I would use it more. draw using it. or play a game with it. UI Experimentation and design would be fun for this. I would use it in class. I would use it to have fun. I'd try to figure out how to use it in my every day work. Best if I give as present to someone. I would use Leap Motion to test out at work as a new input method. If it catches on, it could be helpful. I would use the Leap Motion by using American Sign Language to text program. I would use it to try motion games. I would use it for fun and for work. I would use it for gaming! I would constantly think and say to myself why my hands are so big. Hard to say until I've plaed with it but probably for gaming. I would use it to play games with motion control. i just remembered a better one.......prevent future crimes!!!!! If I had one of these bad boys, I guarantee I would convince all my friends into thinking I was magic. I would use it to show my projetcs to people. Nice to have one in my "hands". I'd like to use this to improve my video editing/production workflow some way! If I had a leap motion, first I would install bettertouchtool so I could get gestures. Then I would add gestures to many simple (but sometimes tedious) activities, such as switching tabs or windows. Also, I would make it where I could raise/lower the volume by just a wave of my hand! I would use it in Autocad if possible to move #d objects and rotate them easily and a bit naturally. Also general use like in touchscreen Windows 8 Laptop. Would love to use it as part of a home theater setup. Games, I think. Hard to imagine doing real work with it. How would you use the Leap Motion if you had one? I would use it to augment my wacom intuos5 to interact with my art station. I would use it with my Windows 8 machine to use the interface and play enabled games and have fun! I would use it to control music and video players while being AFK. I would use it for do something great and also for education. I would develop apps for it !.. Gaming and maybe work-related presentations and displays. I'd use it to take over the world without having to press that annoying red button. Now all it takes is a flick of the wrist! I would use it to have some fun in front of my friends. For gaming it would be nice to try out the features. Attempt to impress friends and family. I would use to play with my game. I would probably try to become a digital Picasso! I want to use one on a robot I am building to provide custom gesture based commands to it. I would like this to use on designing logos and other things which deal with designing. I would see if i could incorporate the Kinect with it for obscene "gesture based computing"
O how would I use it your say. Well that looks like half the fun. Learning how to use it. I would use it to bring a unique aspect to my computer and to freak some people out when i use it!! I have a PC attached to my television. I also have a laptop without touch options I may consider using it on for when I'm working. I'd use it to help kickstart me into the wold of game development. Since AR/physical motion devices seem to be the way of the future, it would be the perfect opportunity. I'd use this to try somegames with motion controls. I would use it to play with my kid. Awesome! I certainly would use it with my family.